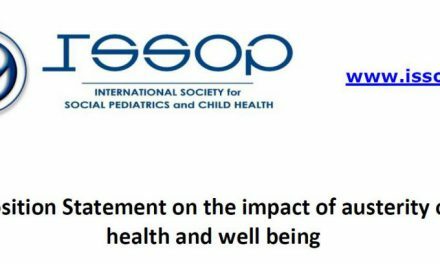 Prepared by Sherry Shenoda, Rita Nathawad, Nick Spencer, Raul Mercer and Jeffrey Goldhagen on behalf of ISSOP. 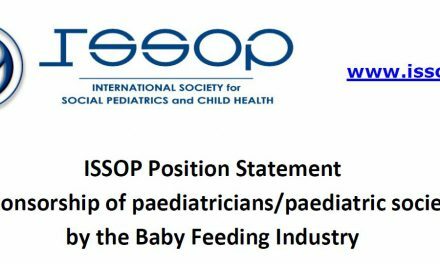 Published on ISSOP website in July 2016. 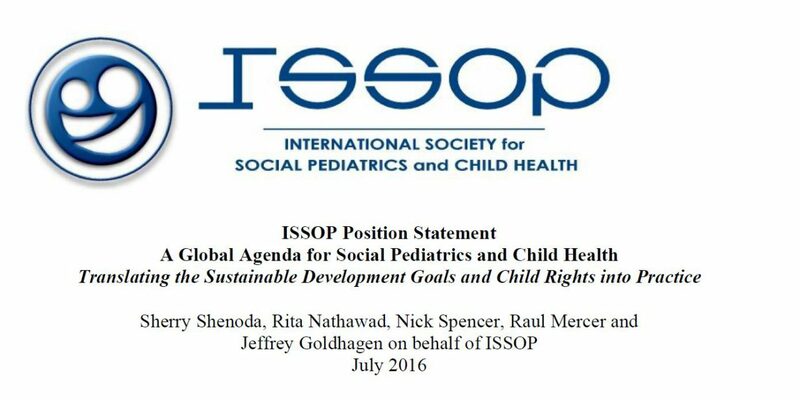 This position paper from the International society for social pediatrics and child health (ISSOP) ISSOP proposes a 10 items Global Agenda, developed in the context of the SDGs and a child rights-based approach to health, as a framework and strategy to structure and operationalize social pediatrics practice. 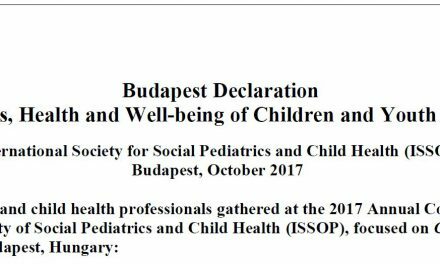 It establishes pediatricians as child advocates working in the domains of clinical care, systems development and the generation of public policy.